[Dennis] is using a robotic arm as a chess opponent. Rather than using an under-board movement system, a Lynxmotion AL5A robotic arm plucks each piece and moves it to the next space. He tells us that he’s using a Python script that he created to process the moves and decide what’s next. That must mean he’s using a webcam to capture the location of the pieces on the board. About half way through you can see the robot run into one of the pawns. We’d like to know if he has problems with picking up the pieces as the game progresses and they get further away from the center of each square. From what we can see, looks like a great job! What kind of LED matrix does your vodka come with? 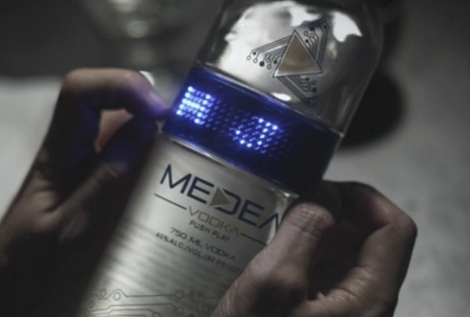 Medea Vodka comes with a bottle that includes a blue scrolling LED Marquee. OK, great? It’s an interesting marketing ploy but kind of a waste don’t you think? Friends, it’s up to us to repurpose this hardware. It can’t be that difficult to hack into the programmable display and make it do your bidding. Our friend Google tells us that you can get your hands on this 750 milliliter bottle for about $40. That’s around $25 more than a passable grade of Vodka sells for, a mere pittance for the challenge of cracking open the hardware for fun and profit. Don’t forget to document your work and tip us off once you’ve accomplished something. See Medea’s programming instructional video after the break. Oh yeah, remember to hack first and drink later… cheap soldering irons get hot! The Winduino II uses fins to pick up the movement of the wind and translate it into music. Each fin is attached to the main body using a piezo vibration sensor. The signals are processed by an Arduino housed inside and the resulting data makes its way to a computer via a Bluetooth connection to facilitate the use of Max/MSP for the audio processing. 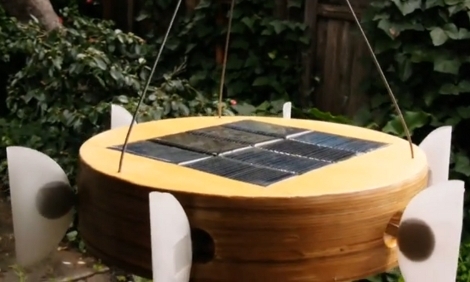 Included in the design is an array of solar panels used to keep the battery for the device charged up. Hear and see this creative piece after the break. [Alan] noticed that his external hard drive was getting quite hot to the touch after a few hours. He says that it was probably designed to handle the heat sufficiently, he thought it would be fun to beef it up. He’s using a pic 12f675 microcontroller as the brain and an LM35 temperature sensor. 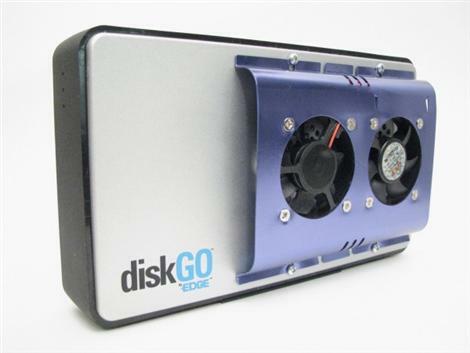 The Fan speed is varried in 8 steps from 35 degrees C to 45 degrees C.